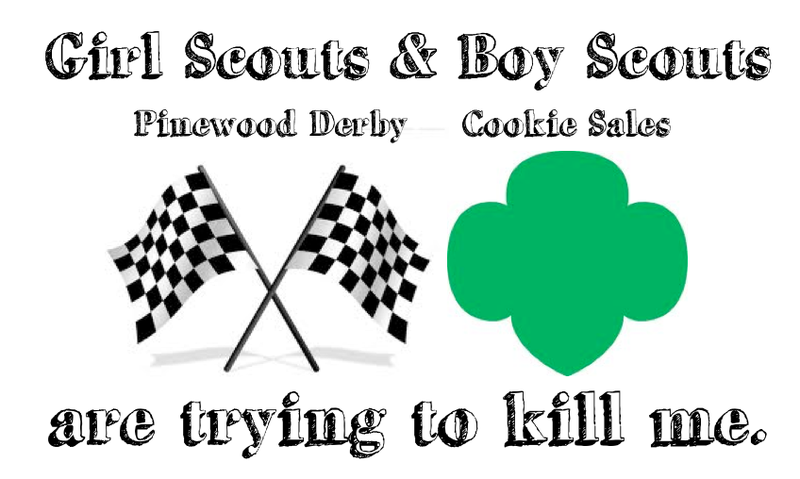 Now that I know about the Pinewood Derby and I almost wish I didn't. It takes my husband and son forever to build that tiny car and it means nothing else is getting done. Curse you, tiny vehicle, CURSE YOU. And my Girl Scout has the father daughter dance this weekend. Also a BFD. 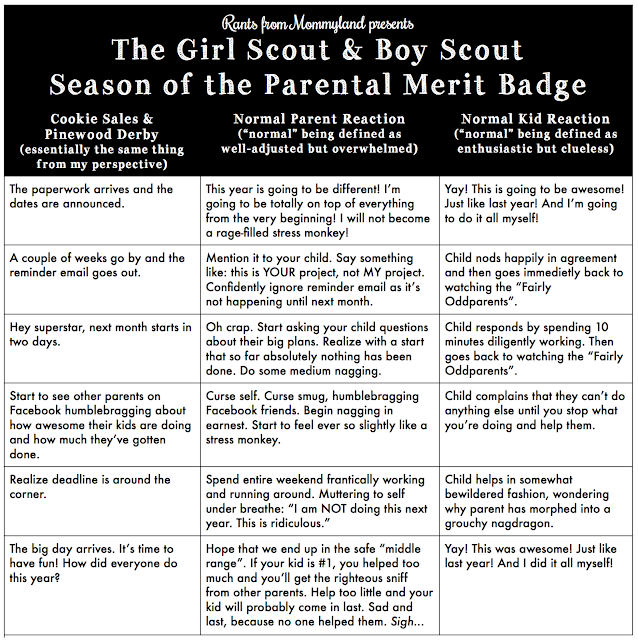 And there's the lottery to get into the really good Girl scout camps this summer - don't forget that! 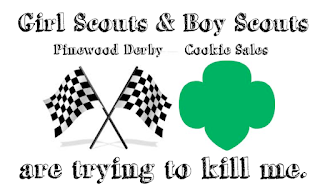 And then there's cookie sales. Every year, it's the same thing with freaking cookie sales. 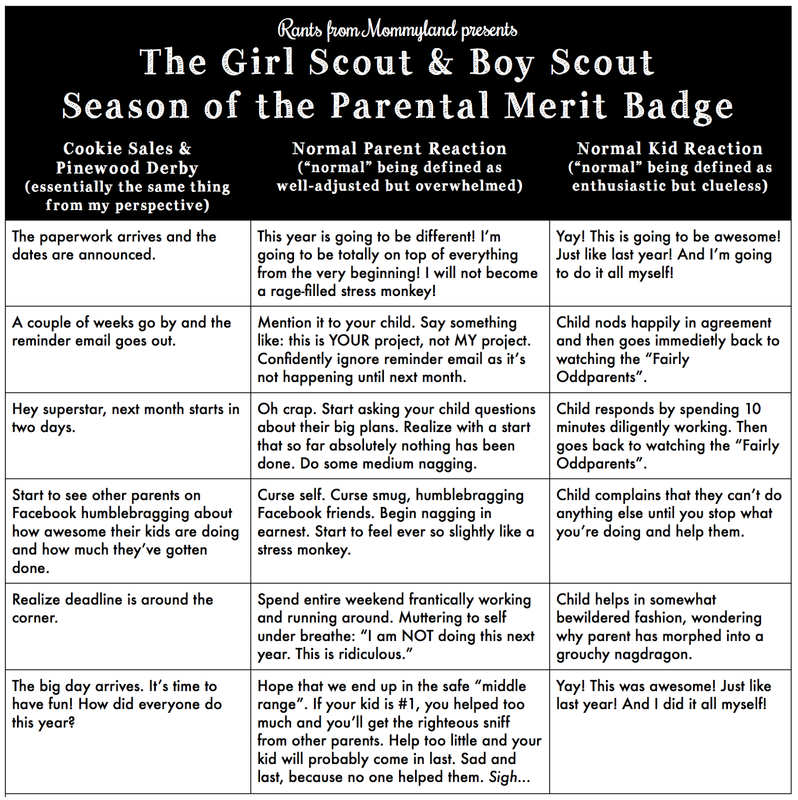 I do all the grunt work while she swans about in her sash looking adorable and closing sales. Which is fine, that's how its supposed to be. But I'm wiped out and the worst of it hasn't hit yet.